The Jass Performance Handbrake Gaiter is closest match to style, fit and colour to the OEM one, providing additional options for black and red stitching. 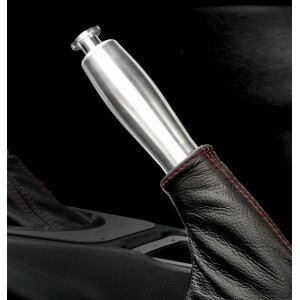 It slips over its plastic trim and provides smooth transition to the OEM handbrake handle or the Jass handbrake sleeve. The Handbrake Gaiter fully matches the Jass Performance Gear Lever Gaiter.